Moist chocolate chip muffins loaded with chocolate morsels in every bite. What a perfect way to start you morning if chocolate is your weakness. Also great as an afternoon snack. These originally started with whole wheat flour, but after a few attempts at these I got the best results using self-rising cake flour. The taste and texture was exactly what I expect from a muffin. Next time I may try to do a blend of white whole wheat flour and cake flour to see how they come out. Until then I didn’t want to keep you waiting! If you are watching your sugar intake, I’m sure these would work great with a Splenda blend. Preheat oven to 375°F. Line a muffin tin with 12 to 18 liners. Mix flour and baking soda in a medium bowl. Mix and cream butter and sugar with a hand mixer in a large bowl. Beat egg whites in a small bowl and add to butter/sugar mixture. Mix in ricotta cheese, then flour mixture and vanilla and mix well. 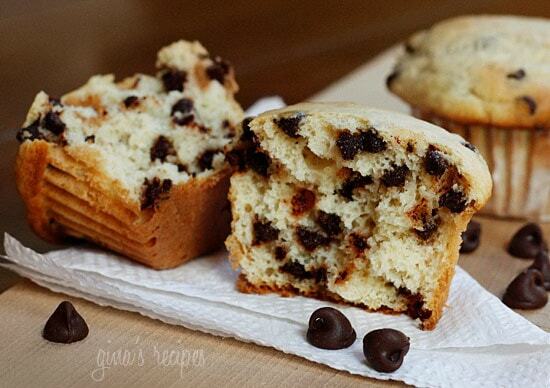 Fold in chocolate chips and spoon into lined muffin tins about 3/4 filled. Bake at 375° for 15-18 minutes and let cool. Simply delicious. Easy to whip up. My family loved them. These are incredible. They taste like scones. I followed someone else’s suggestion for making self-rising cake flour from all-purpose (super helpful!) and lowered the sugar to 1/2 cup because I don’t like things too sweet. I also used 2 egg whites and a whole egg. 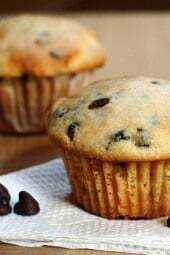 I would like to have information on making these favorite muffins of mine gluten free as I have to make dietary changes including removing gluten from my diet. Does anyone have the gluten free recipe. I made these with truvia baking blend instead of sugar and got the calories down to 170!!! I only had white chocolate chip morsels on hand, but it was so delicious! Thanks Gina! Incredible! I had some ricotta that was going to go bad soon so searched for recipes on your site and was thrilled to find this one.I made these muffins, left for a few hours and my 3 year old, the babysitter and my mother had devoured them and they were asking when I was going to make them again! !I only change I made was to reduce the sugar to 1/2 cup and they were perfect to us. This is a great breakfast or I may make them into mini muffins and have them as an afternoon snack to hold us over until dinner. Thank you Gina for an amazing recipe once again! Made these this afternoon. I was intrigued by the recipe due to the ricotta, and it seemed to get amazing reviews. Could not finding self rising cake flour, but had some swans down cake flour. Added an extra 3/4 tsp of baking soda. Also, used margarine instead of the I can’t believe it’s not butter. These are amazing! They taste like a cross between a cookie and a cupcake! Will definitely make these again! The texture was perfect! Yum! I made mini muffins and after filling 24 of them, I still had some batter left. So I made 4 disks and baked them as cookies. I sandwiched those cookies with a coffee chocolate chip gelato and OMG! Great recipe Gina. Thank you for letting me feel only slightly guilty (gelato!) for snarfing an ice cream sandwich. How long did you bake them for mini muffins? About 20 minutes, just until the tops started to color. However, I’m working with a stove that is at it’s end of life so I used the convection because that’s all that works anymore! I’m not concerned with keeping it low fat so I used whole ricotta cheese, whole eggs,(tho I beat the whites), and folded them in with the chips. I had cinnamon chips and a couple tablespoons of chocolate chips. Took about 22 minutes to cook, and they are fabulous! Love this recipe! I’m not a fan of chocolate. Do you think blueberries with a little lemon zest would work? I just made these are they are fabulous. Mine came out light and cake-like. I read reviews on dense muffins so was expecting something heavier like a traditional muffin. I almost mixed the butter and sugar in the flour bowl. The instructions were not clear about separate bowls until a couple of likes later. I did cream the butter and sugar in a seperate bowl. I only had AP dale flour so I added 1 Tablespoon of baking powder and 1/4 teaspoon of salt in addition to the 1/2 tsp baking soda.i made 14 muffins. So delicious! Not too sweet but so tasty. 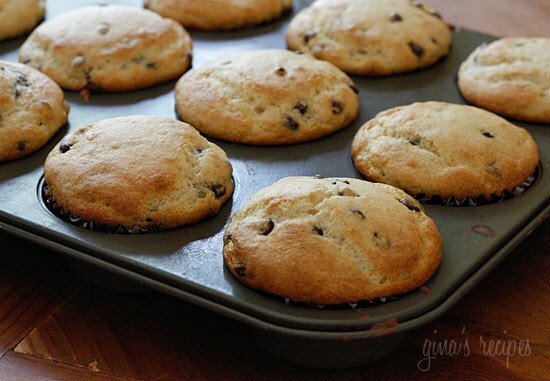 Have these muffins in oven. 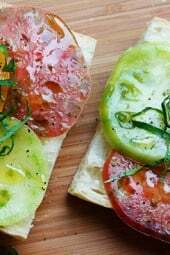 I am on weight watchers and joined the skinnytaste group. Your recipes are the best and are keeping me interested in keeping with the program. This recipe was really easy to make and tastes light and healthy! I made 24 mini muffins and still had batter left over to put in a small baking pan. If I use coconut flour instead of regular flour,how much should I use? When I put this in my WW recipe builder (freestyle) it tells me it is 8 points each for 12 muffins. What gives? I just checked and you are right, there was a mistake in my recipe builder, thank you for pointing that out. I absolutely love these muffins but when I put them in the recipe builder on the weight watchers app they come up as 9 points- I don’t understand how your recipe comes up as 5.
this was one of my first Skinnytaste recipes– kid friendly (I love making them as mini muffins) and I bring them any time I go to a picnic/potluck. Easy and always a hit. These are delicious but on the freestyle plan using the ww recipe builder and the brand ingredients used in the recipe they are 8 points each. My family loved them and will make them again! These muffins are amazing, however I plugged the recipe in the WW recipe builder and they came out to 8 points each. Imagine my disappointment, and confusion. I can’t figure out how Gina only came up with 5 points each. This looks delicious.. but can you use all purpose flour instead? If so .. how much should i use? omg I just cracked three whole eggs and beat them instead of just the whites..im totally distracted by my two-yr old lol what should I do?? Also I don’t have light butter – can I use regular butter and how much? Would Greek yogurt work in place of ricotta? ,,, Can anyone share a blueberries version with me. I made these with blueberries tonight. I halved the recipe and used half a cup of frozen blueberries since it was my first attempt. I thawed the blueberries prior to folding them into the batter and they came out fabulous. The only thing to keep in mind is that since the chocolate chips have been replaced they aren’t as sweet (if you’re trying to satisfy that sweet tooth). I made these with the intentions of them being a quick on-the-go breakfast so for me they’re perfect. You could probably use half a cup of blueberries for the full recipe but I like that mine are overflowing with blueberries so I’ll probably add a full cup next time I make the full recipe. Hope this helps. I made these muffins this morning and I am so sorry that I didn’t read these comments first. I rarely bake and have never made muffins before starting WW in March. Didn’t realize that using non self-rising cake flour without making adjustments of some kind would make such a huge difference. My muffins never browned at all and tasted pretty bland. My bad. I have loved all the Skinnytaste recipes I’ve tried up to this point.. So delicious! I hope you give then another shot! When I entered the recipe in WW’s Recipe Builder, it said each muffin is worth 6 Smart Points. Was this recipe calculated with the recipe builder or with the nutritional information? I made these this morning for breakfast. I am celiac so I made the GF version. They were delicious and moist. My husband loved them also and he is not gluten free. Definitely a keeper. What kind of GF flour do you use? I have all purpose Bobs Red Mill – would that work? Can someone tell me the amounts used for lemon juice and zest used for these when swapping out chocolate chips with blueberries? Also did you use 9 tbsp blueberries too or what amount? Love these muffins and wanted to try the other possibilities!! These are soooooooooooooo good! This last time I made them I switched out the sugar for truvia baking blend. I think they were even better (if thats possible)! I didn't have any self rising cake flour (or any cake flour for that matter). After scouring the internet for a workable substitute, I wound up using 1 cup plain old Gold Medal All Purpose Flour and 7/8 cup GM White Whole Wheat Flour, adding 2 1/2 tsp Baking Powder and 1/2 tsp Salt. I also reduced the sugar to 1/2 cup (because that's how I roll). I've baked these twice now and used Gold Medal self rising bread flour, it works just fine. These are delicious, I use half chocolate chips and half raspberries, I also use coconut palm sugar, which makes them less sweet. Do you think these would work with regular butter? I am not interested in eating artificial butter substitutes. I adapted this recipe a little and made these muffins – they were delicious! I blogged them today. Thanks for such a great idea! I made these yesterday, swapping out sugar for stevia and they turned out great. I didn't have any mini chips on hand, just used regular sized chocolate chips and they ended up being perfect. Thanks for sharing! 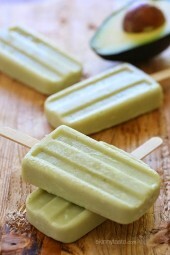 I'm making these tonight! Will let you know how they come out! This looks like a fabulous recipe and one I can't wait to try out. I wonder all these people complaining about the muffins turning out dry or too dense…they know a muffin is DIFFERENT than a cupcake, right? They're kinda supposed to be like that. That's like complaining that scones are too dry and flakey…they're supposed to be. These were really good! A tip for anyone who can't find self rising cake flour, or even regular cake flour: For every cup of flour, put back two tablespoons and add two tablespoons of cornstarch instead. Sift five times. Add a pinch of salt and 1 1/2 teaspoons of baking powder. Sift again. There you have self rising cake flour! Mine were very dense, but I like them that way. I would make them again. New to your site and love it! I can't wait to try these muffins but I have a question – would it still work with applesauce instead of ICBINB light? I regularly make that substitution when baking cakes and it works really well. Thanks! I loved these. My batter was thick like cookie dough. Next time I may trying making a cookie as a test out of the batter. 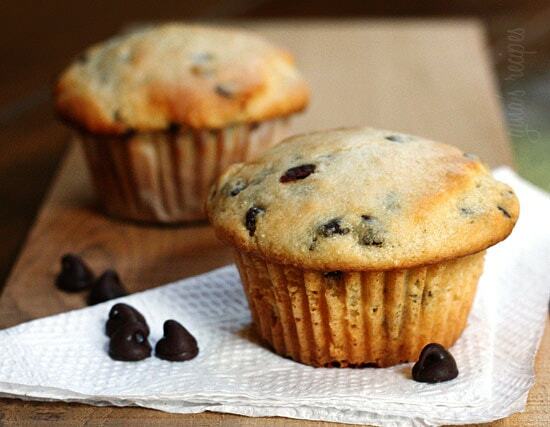 The muffin was dense but it felt like an indulgent treat with the chocolate chips. I used white whole wheat flour & halved the recipe, making 6 muffins. Im going to try freezing a few. This recipe is a keeper. I just made these and like some others, my batter was thick, more like cookie dough. Also, like some others , I got 15 rather than 12 muffins. I used a sugar substitute, and ran the recipe through the WW recipe builder it didn't change the PP+ value of Gina's original recipe, but that's ok. Although my batch didn't come out looking NEARLY as pretty as Gina's pictures depict, they are yummy! Just made these. I ate a fair amount of the batter, so I didn't even have room for one whole muffin when they came out! But what I ate of one was soooooo good! Have to bring to work tomorrow to limit damage. There just came out of the oven and they are pretty darn amazing! I forgot to up the baking soda since I used the regular cake flour so they are a little dense but it didn't effect the taste at all! Mine didn't brown for some reason. They seem kind of dense too. I made these today, they were AWESOME! Will make again! Made these as mini muffins. The raw dough tasted amazing but the baked muffins tasted too dry. I will need to tweak a few things for next time. 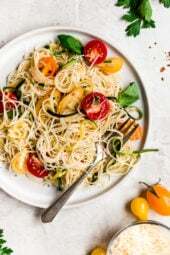 I made these this last night for breakfast this morning..My husband loved it, and my son who has autism and is a very picky eater loved it to..thanks for the recipe it was yummy. can I substitute butter or margarine for the "I can't believe its not butter" or would that ruin the taste? I used Presto and followed the recipe. They came out heavy and like bricks. What could have gone wrong? I so want these to work. So, I misread Gina's comment on using AP flour – this is what I did and it tasted awesome! I used the amount of regular AP flour as specified, 3/4 tsp of baking SODA and a pinch of salt. Mine took a total of 17 minutes to bake. Delicious! Thank you, Gina! I'm thinking about making these using plain Greek yogurt instead of ricotta. I don't think it will change the texture of the muffin but wonder how it will affect points. Made these tonight, they are awesome! Used regular self rising flour and they turned out fine. I was just told about this website. Already love it. First recipe I made was the Ricotta Muffins with white wheat flour. Family loves them. I am keeping to one. (nice treat). How would I figure calories count if I put in blueberries instead of chocolate chips. Thinking it might be less calories.